The Honorable Jerry Francis Barnes, 66, of Hampstead, Maryland died Saturday, November 29, 2014 at Carroll Hospital Center. Born October 9, 1948, he was the son of the late Charles A. and Mary R. Byers Barnes. He was the devoted husband of Florence J. Barnes and loving step father of Jenna B. Wilmot and husband, Chris, of Cockeysville. He is also survived by his Aunt, Sandra Cook, cousins, Gregory Hutsell, Jeffrey Hutsell and Jennifer Freeman, all of Westminster. Mr. Barnes graduated from Westminster High School in 1966, and after working a short period at Bendix Field Engineering, he was drafted into the US Army in 1968. In 1969, he qualified as a Green Beret, after which he served in Vietnam as a member of the 5th Special Forces Group (Airborne). After receiving two Bronze Stars (one for “Heroism in Ground Combat”), the Combat Infantryman Badge (CIB), and being Honorably discharged in 1971, he attended and graduated from the University of Baltimore Law School. He was thereafter a career prosecutor serving both with Frederick County State's Attorney's Office and Carroll County State's Attorney's Office. 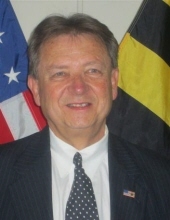 He was distinguished as Chief Narcotic's Prosecutor for Frederick County from 1991 through 1994. From 1995 until present, Mr. Barnes served as the elected State's Attorney for Carroll County, Maryland. Since becoming a prosecutor in 1978, Mr. Barnes personally prosecuted thousands of criminal cases. He also oversaw a busy office comprised of 54 staff members - all responsible for successfully prosecuting criminal, juvenile and traffic cases in Carroll County's three courts. Mr. Barnes devoted his entire working career to helping his community. Over the decades, he helped others both professionally and personally, many times when they did not even know it. Among some of his initiatives, he spearheaded and implemented the Heroin Action Coalition and established a position specifically designated to prosecute Domestic Violence cases. Mr. Barnes was a specialist in drug enforcement serving as Chief Narcotics Prosecutor and actively prosecuting numerous drug distribution and other serious drug felony and misdemeanor charges. He attended and graduated from the Drug Enforcement Administration Agent's Course and the Maryland State Police Undercover Drug Course. He was sworn in as Assistant U.S. Attorney for the District of Maryland to prosecute drug cases. The family will receive friends on Thursday from 2-8 pm at Pritts Funeral Home and Chapel, 412 Washington Rd., Westminster. A funeral service will be held on Friday at 1pm at St. John Catholic Church, 43 Monroe St., Westminster , with Chaplain Pat Geyer, officiating. Internment will be private. In lieu of flowers donations may be made in his name to Misfits Animal Sanctuary, P.O. Box 75, Finksburg, MD 21048-0075. Online condolences may be offered at www.prittsfuneralhome.com.